Attic and Roof Mold Remediation and Prevention Jun’s Roof Cleaning and Repair is also certified Mold Remediation and Prevention service expert. Our certification number is #18468. Exposure to mold can cause a bevy of health effects, including wheezing, rashes, watery eyes, a runny nose and more. This is especially true when people have an allergic reaction to mold, the one thing that all homeowners hope to avoid. Mold can grow inside or outside the home, with basements, bathrooms and roofs being among the most prevalent places it lives. Jun’s Roof Cleaning offers residential mold remediation and removal services to ensure your home is fully devoid of mold and your family’s health is not put at an unnecessary risk. Whether you need mold removed from your roof or inside your home, our certified specialists will ensure no mold is left behind in affected areas. 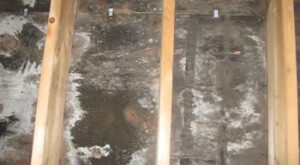 – Scrubbing of affected areas for mold removal. – Fogging with EPA approved Anti-microbial mold and mildew products to remove and kill existing mold. – HEPA Filters are used to remove mold spores from the air. – Negative Air Scrubbers are used to remove mold spores from the air. – Dehumidifiers are used to reduce the moisture in the air which is a leading cause of mold in basements. – Heaters are used to dry out wood where necessary to eliminate the continued growth of mold on wood in attics and basements. – Proper disposal and removal of all debris upon completion of the remediation process. 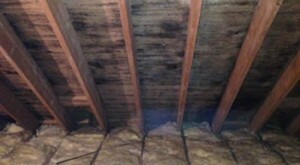 – Removal of excessive insulation (which traps hot air and condensation which is a primary cause of mold growth). – HEPA vacuuming upon completion of the Mold Remediation process.